1st and 2nd editions - see edition notes about page edges. 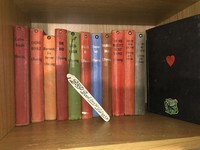 A collection of Fleming titles, note the library tag inserted through the washer. Copies found with the boots binding seem nearly always to be 1st editions. Editions in standard Cape bindings with a boots label on the front are usually later editions. 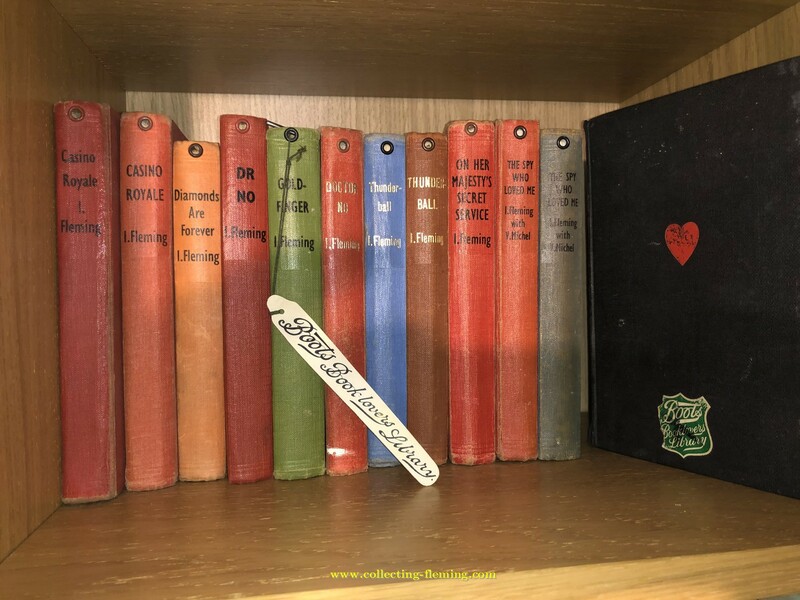 This suggests that when a new title was released Boots ordered a batch of books in their own binding, if additional copies were later required then standard copies were purchased and labels added. 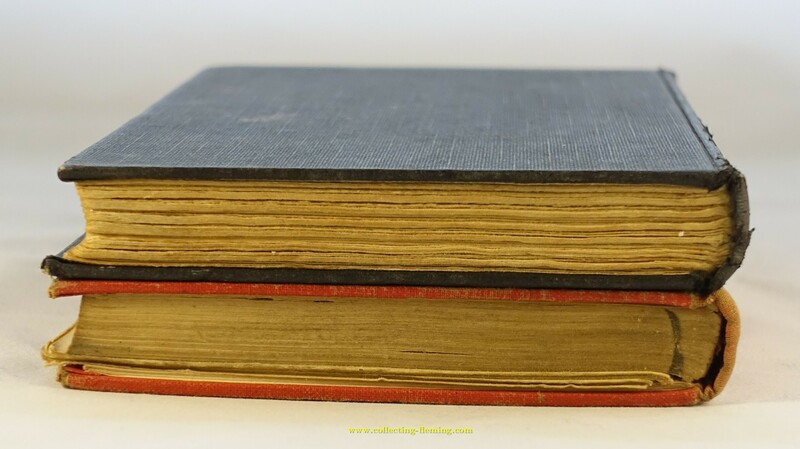 Bindings are not uniform in terms of size, cloth or print to the spine. Some titles can be found with multiple different bindings. 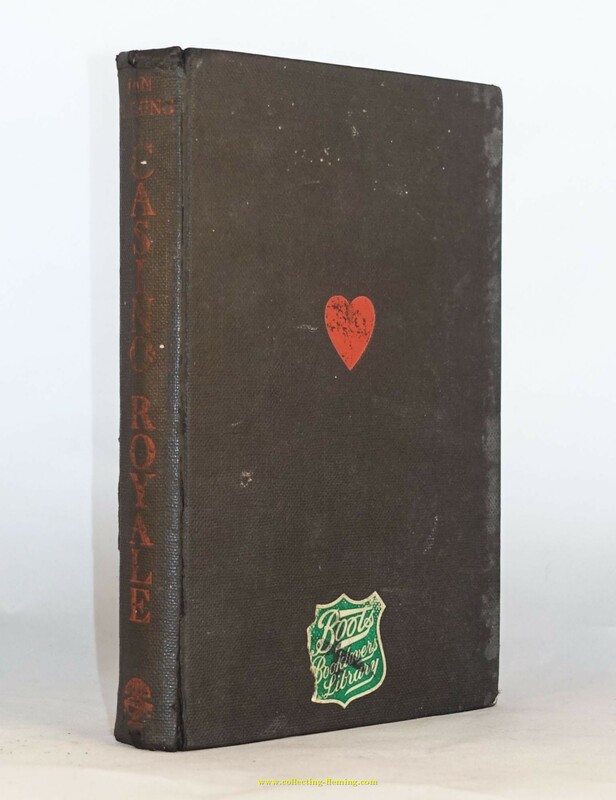 1st and 2nd editions of Casino Royale in the Cape bindings have rough page edges at the bottom. It is interesting to see that the 1st edition in the Boots binding has smooth edges unlike the Cape 2nd edition (other than a few pages which have come loose on this rather tatty 1st edition).